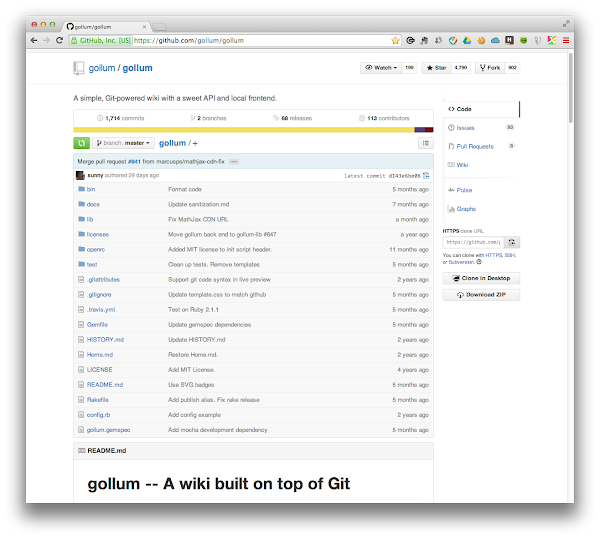 Gollum is a simple wiki system built on top of Git. With your favorite text editor or IDE (changes will be visible after committing). With the built-in web interface. With the Gollum Ruby API. Here are steps to install gollum. This will start up a web server running the Gollum frontend and you can view and edit your wiki at http://<host>:4567.